Village Care Ltd are regulated by the Care Quality Commission – a Government Body that make sure hospitals, care homes, dental and GP surgeries, and all other care services in England provide people with safe, effective, compassionate and high-quality care, and are encouraged to make improvements where needed. Set standards of quality and service that people have a right to expect whenever they receive care. Monitor, inspect and regulate care services to make sure that they continue to meet the standards. Protect the rights of vulnerable people, including those whose rights are restricted under the Mental Health Act. At Village Care Ltd, we fully support and embrace the work undertaken by the CQC in ensuring that the services we provide are of the highest possible standard. 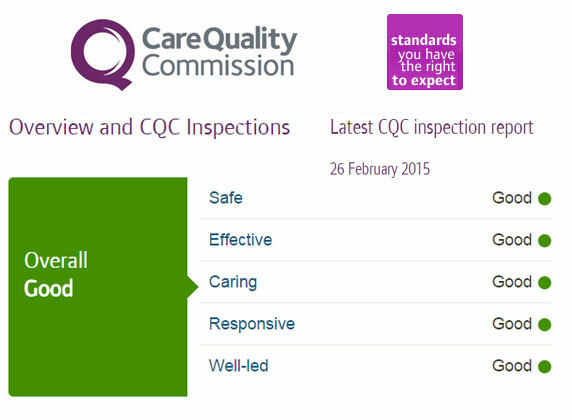 We are regularly inspected by the CQC and you can read our latest inspection reports by following this link to the CQC website.